We, Biotic Water Solutions Pvt Ltd are an eminent entity engaged in manufacturing, exporting, retailing and trading a sophisticated assortment of Waste Water & Sewage Treatment Plant and Swimming Pool Filtration System to the patrons. Offered treatment plants are manufactured with ease and perfection at our unit by employing advanced technology and cutting edge machinery along with optimum grade raw material that is obtained from the reputed vendors of the market. Industry set quality parameters are solely followed by our team to achieve attributes such as high performance, low maintenance and easy installation. Furthermore, we aim to work as per the clients demands and for the same we offer installation and after sales services as per their detailed specifications. We have in store for our customers an exclusive range of Tube Settler Media. The Tube Settler Media is very apt for clarification and sedimentation process done during the waste water treatment. It is highly praised in the market for its exceptional quality and long functional life. Three different functional models are available with us. Moving Bed Biofilm Reactor (MBBR) technology. Moving Bed Biofilm Reactor (MBBR) processes improve reliability, simplify operation, and require less space than traditional waste water treatment systems. MBBR technology employs thousands of polyethylene biofilm carriers operating in mixed motion within an aerated waste water treatment basin. Each individual bio carrier increases productivity through providing protected surface area to support the growth of heterotrophic and autotrophic bacteria within its cells. It is this high-density population of bacteria that achieves high-rate biodegradation within the system, while also offering process reliability and ease of operation. This technology provides cost-effective treatment with minimal maintenance since MBBR processes self-maintain an optimum level of productive biofilm. Additionally, the bio film attached to the mobile bio carriers within the system automatically responds to load fluctuations. 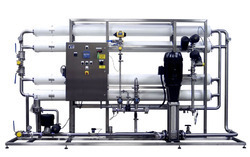 Moving Bed Bio film Reactor systems deliver a flexible, cost-effective, and easy-to-operate means to address current wastewater requirements and the expandability to meet future loads or more stringent discharge requirements within a compact design. We are one of the leading organizations of this market, engaged in manufacturing, exporting, a complete range of Sewage Treatment Plants. Our plants are precisely designed by following the clients needs and preferences to achieve the maximum output from a minimum foot print area. For the same, a team of skilled mates is recruited for setup of this plant to attain maximum level of patron satisfaction. Biotic’s Package Sewage treatment Plant is totally self-contained, covered, single piece packaged treatment system for onsite waste-water treatment. Package STP’s are innovative and truly versatile systems for the effective treatment of waste-water including Nutrient removal. 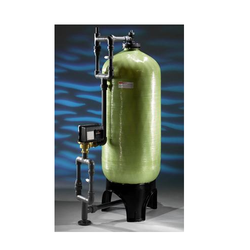 They can be configured for BOD reduction, suspended solids reduction, Ammoniacal and/or total Nitrogen reduction and Phosphorus reduction. Membrane Bio Reactor (MBR) ‘s features have been built into the Single Packaged Plant to create the physical-biological tertiary treatment with water recycling. Ultrafiltration (UF) is a type of membrane filtration in which hydrostatic pressure forces a liquid against a semipermeable membrane. A semipermeable membrane is a thin layer of material capable of separating substances when a driving force is applied across the membrane. Once considered a viable technology only for desalination, membrane processes are increasingly employed for removal of bacteria and other microorganisms, particulate material, and natural organic material, which can impart color, tastes, and odors to the water and react with disinfectants to form disinfection byproducts. 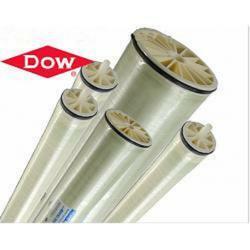 Ultrafiltration uses hollow fibers of membrane material and the feed water flows either inside the shell, or in the lumen of the fibers. Suspended solids and solutes of high molecular weight are retained, while water and low molecular weight solutes pass through the membrane. This separation process is used in industry and research for purifying and concentrating macromolecular (103 - 106 Da) solutions, especially protein solutions. Ultrafiltration is not fundamentally different from reverse osmosis, micro filtration or nano filtration, except in terms of the size of the molecules it retains. When strategically combined with other purification technologies in a complete water system, UF is ideal for the removal of colloids, proteins, bacteria, pyrogens, proteins, and macromolecules larger than the membrane pore size from water. The primary removal mechanism is size exclusion, though surface chemistry of the particles or the membrane may affect the purification efficiency. UF can be used as pretreatment for reverse osmosis systems or as a final filtration stage for deionized water. We have established ourselves as coveted organization, involved in manufacturing, supplying, exporting, retailing and trading a wide assortment of Effluent Treatment Plant. 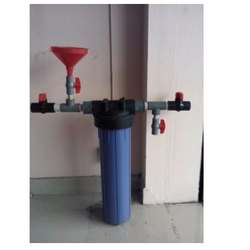 These waste water plants are widely appreciated by our clients for its various excellent features such as efficient aeration system and easy installation. All our products are manufactured using optimum quality raw material in compliance with international quality standards. We offer a wide range of products in this category including Common Effluent Treatment Plant, Effluent Treatment Plant (Food Industry), Effluent Treatment Plant (Automotive Industry), Effluent Treatment Plant, (Industrial). 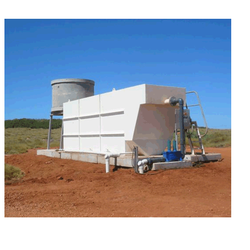 Biotic’s Compact Effluent Treatment Plant is totally self-contained, covered, single piece packaged treatment system for onsite wastewater treatment. Package ETP’s are innovative and truly versatile systems for the effective treatment of wastewater, including Nutrient removal. 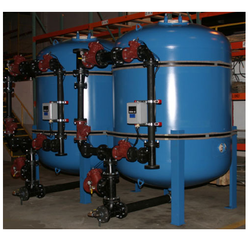 They can be configured for BOD reduction, suspended solids reduction, Ammoniacal and/or total Nitrogen reduction and Phosphorus reduction. Features have been built into the Single Packaged Plant to create the physical-biological tertiary treatment with water recycling. 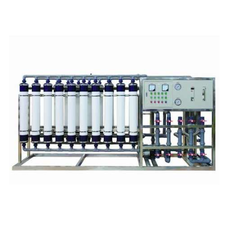 Reverse Osmosis Plant is widely used for removal of dissolve chemical impurities from brackish & seawater. Reverse osmosis is the process of forcing a solvent from a region of high dissolve solids concentration through a membrane to a region of low dissolve solids concentration by applying a pressure in excess of the osmotic pressure.The semi permeable membranes used for reverse osmosis have a dense polymer barrier layer in which separation takes place. Biotic's RO Plants are designed for a variety of industrial & commercial applications requiring high quality equipment with a fast delivery and competitive price. 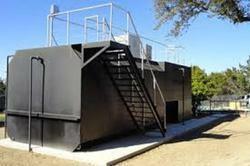 These pre-engineered, pre-assembled and factory tested units minimize installation and start-up time. With simple utility connections and easy to set up controls, the unit is ready for quick on-line service. The control system is an advanced microprocessor based system that is very easy to use. Biotic's RO Plants are available in flowrates from 0.25 M3/hr. to 100 M3/hr. Using high quality 4 and 8 inch semipermeable membrane and equipment’s for variety of applications. 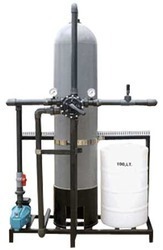 Reverse osmosis is water purification process in which pre-treated & filtered water is connected to the high-pressure pump where pressure is developed and fed to the RO membranes.Reverse Osmosis membranes work on the Cross flow Filtration method where the salts get rejected partially and deliver pure water. Purified water is referred to as product and waste water is referred to as concentrate or reject. The percent of water delivered as product is called the recovery. The ratio of recovery& output parameters depend upon the feed water quality, type of membrane, temperature and total RO unit design considerations. The term media filter, as applied to water treatment, refers to the removal of suspended Solids from water. In most cases it is the last stage in the pretreatment of water for removal of un-dissolved impurities prior to treatment by Ion Exchange or by Reverse Osmosis. Coagulation, flocculation and clarification precede filtration. Media Filters used in water & Wastewater treatment are either pressure or gravity filters depending upon the flow of water. Water is pumped through a pressure filter while water flows by gravity in a gravity filter .They employ granular media like sand, anthracite or activated carbon either alone or in combination as the filter media. 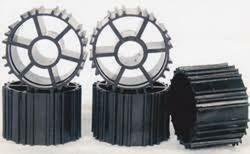 Filters with special media are also used to remove iron and or manganese that may be present in some bore well waters. 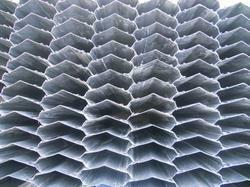 Depending upon the application and requirements, media filter use variety of media to remove contaminants. Flirtation system can be classified according to. 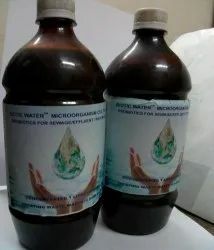 Providing you the best range of em (effective microorganism) solution) with effective & timely delivery. 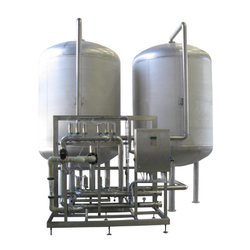 Leading Manufacturer of water softening plants and water softeners from New Delhi. 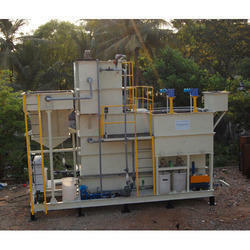 Offering you a complete choice of products which include iron removal filter. 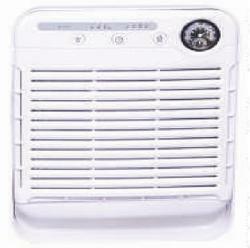 We are a leading Manufacturer of air purifier from New Delhi, India.